Hagerstown, MD- The Hagerstown Suns and Hickory Crawdads contest scheduled for Friday, August 3 at 7:05 PM has been postponed due to rain. The two teams will make up the game as part of a double header on Sunday, August 5 with the first game beginning at 1:05 PM. Friday's Woolie Christmas Ornament giveaway has been rescheduled for Friday, August 31. 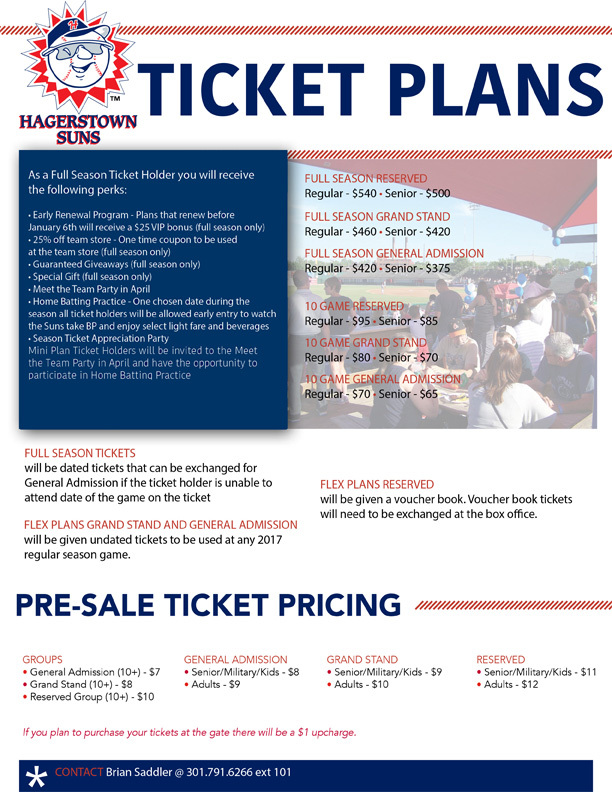 Fans who purchased tickets to Friday's game can exchange those tickets for entry to any remaining regular season Suns contest at Historic Municipal Stadium in 2018. Gates for Sunday's double header will open at 12:05 PM for Sunday Funday where Kids Club members can play catch on the field before the game and all kids can run the bases following the conclusion of the twin-bill. The Suns and Crawdads will begin their four-game series on Saturday with a double header beginning at 5:05 PM with the first 1,000 fans through the gates receiving a Jim Palmer Bobblehead presented by Columbia Gas of Maryland. The bobblehead marks the 35th anniversary of Palmer taking the mound at Historic Municipal Stadium in Hagerstown. The Suns finish their four-game series with Sunday's double header and Monday, August 6 will serve as an off day. The Suns begin a seven-game road trip on Tuesday with three games against the Augusta GreenJackets before four games against the Charleston RiverDogs. Tomorrow's broadcast can be heard, starting with the pregame show at 6:55 PM on www.hagerstownsuns.com by going to multimedia and "Listen Live". The broadcast is also available on the Hagerstown Suns Radio Network in the Tune-In Radio and MiLB First Pitch apps.